No Limit Hold 'Em! 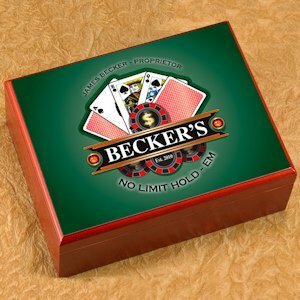 Make any cigar enthusiast with a great interest in poker feel like they hit the jackpot with a personalized humidor in which to store his prized collection. 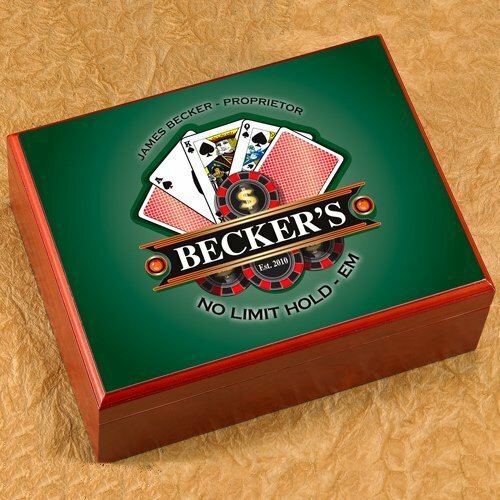 This poker-themed humidor is the perfect addition to an all-night game with friends and it will protect cigars from the elements. 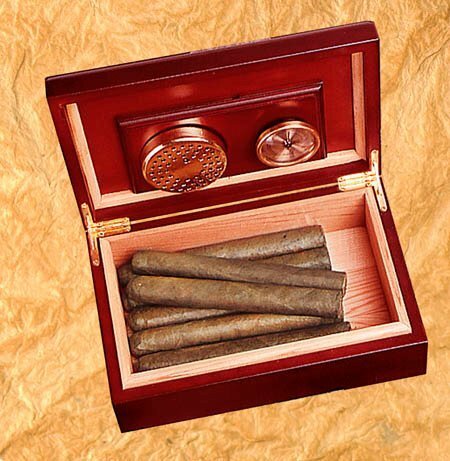 Humidor measures 9-1/2" by 3-5/8" by 7" and is personalized with first and last name of the gambler and the year established.